Think: Write: Talk is a whole class activity which involves every pupil. 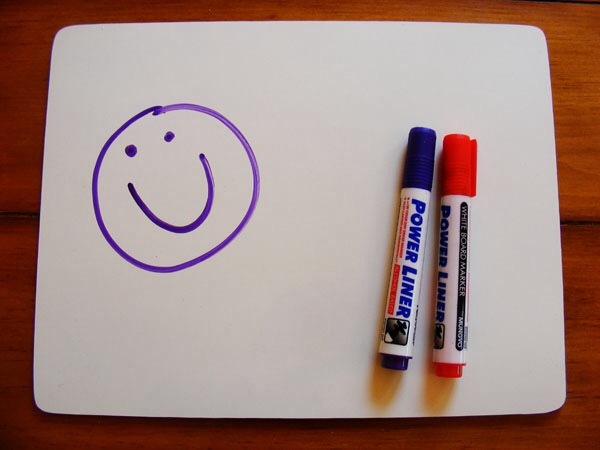 All you need is a set of mini-whiteboards and a marker pen! The activity requires students to think, recall and predict key learning points and therefore ensures that key learning points are more likely to be remembered. The teacher should split the class up into pairs and give each pair a mini-whiteboard each and a couple of dry-wipe pens. Whilst the activity is taking place the teacher can circulate the room and look at the key learning points that are being written down and discussed which makes this ideal for assessing student understanding.